Home>News of Containers > Global container shipping to face yet another crisis? The year 2016 was a difficult one for container shipping. It was in August 2016, container shipping line Hanjin Shipping of South Korea declared bankruptcy which left 66 ships carrying goods worth US$ 14.5 billion stranded at sea. According to Drewry maritime research and consulting services, the container shipping industry has lost about US $ 10 billion in 2016. This development sent shock waves through the container shipping industry. 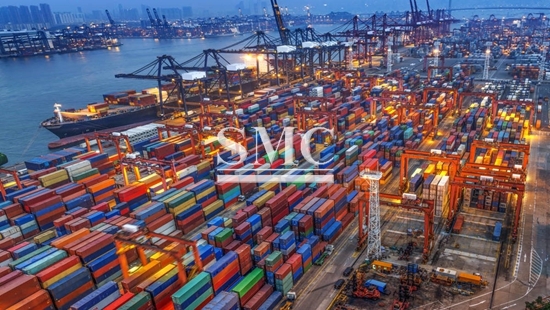 Shipping analysts have reported that competitive ordering of ultra large container ships was influenced by the economies of scale and also by the very low cost of building new ultra-large carriers. The excess capacity that was already existing in the global container fleet resulted in significant decline in the profitability of container shipping. In an environment of excess fleet capacity and keen competition, several container lines wanted mergers, acquisitions and re-alignment as strategies for survival.Top shipping lines namely Maersk and Mediterranean Shipping Co (MSC) formed a shipping alliance called 2-M to operate services by pooling their resources. CMA/CGM, COSCO Container Lines, Evergreen and Orient Overseas Container Lines formed an ocean alliance to improve their operational performance. Six other shipping lines have also formed a larger alliance to consolidate their position in an environment of excess capacity and keen competition Ship owners refrained from ordering new container ships to bring the supply and demand in an equilibrium. 2017, however, witnessed a modest recovery with all key indicators showing improvement thereby injecting a spirit of optimism in container shipping. At a time when global container shipping seemed to have come out of a difficult phase, third largest shipping line CMA/CGM placed new orders for building 6 container ships of 22,000 TEU capacity with an option to go in for another three of the same size. This was quickly followed by an announcement by the 2nd largest Mediterranean Shipping Company placing orders for eleven 22,000 TEU ships. The nine ships of CMA/AGM are to be built in China by two subsidiaries of China State Shipbuilding Corporation. The price for each unit is reported to be US $ 138 million with a total outgo of US $ 1.4 billion for all the nine ships. The MSC has placed orders for 11 ships of 22,000 TEU – six units with Samsung Heavy Industries and five units with Daewoo Shipbuilding and Marine Engineering in South Korea. These orders were placed despite advice from the Maersk Line and Alliance partner in the 2-M Alliance not to go ahead as it could jeopardize the fragile recovery that was underway. These orders are estimated to be collectively worth US$ 3 billion and would reflect a grand strategy of power play and game plan that extends well beyond 2020. The largest container ship in service today is ‘OOCL Hong Kong’ of 21,400 TEU capacity belonging to the Overseas Ocean Container Lines based in Hong Kong. 22,000 TEU container ships will become the largest containerships which will enter service by the end of 2019. The price of each ship is as low as US$ 138 million compared with the Maersk Line and Triple E Class ships of 18,000 TEU where the price was US $ 190 million. MSC and CMA/CGM have a great cost advantage by ordering such ultra large ships when the price of new building is so low. CMA/CGM has relatively less number of ships of more than 18,000 TEU capacity and needed to catch up with MSC and the Maersk Line in the ultra-large ship category to maintain the balance of power in the Asia-Europe route. By 2020, 2-M Alliance of Maersk and MSC will have 62 units of18,000-22,000 TEU whereas the Ocean Alliance of CMA/CGM, COSCO, Evergreen will have 51 units. If the merger takes place between the two Chinese Lines COSCO and OOCL, CMA/CGM may lose its prominent position. Therefore, CMA/CGM wanted its position to get strengthened in advance by acquiring the additional ultra large tonnage. MSC wanted an equal partnership with Maersk as the 2-M Alliance partner. While Maersk will have about 31 ships of 18000-22000 TEU range MSC has only 22 ultra large container ships and with an addition of 11 ultra large units they will become as equal partners. A competitive ordering of container ships by major shipping lines was largely influenced by considerations dictated by the economies of scale and further encouraged by lower building costs. Can container ship size go even larger? A 2016 DNV GL study pointed out that among the most limiting factors for the development of ultra large container ships in future years will be the Suez Canal which currently allows vessels of 59m wide and a 17 m draught. An expansion beyond this point would impact on the whole logistics chain. Dr Jose Paul, a doctorate in port management of the University of Wales, is currently working as Adjunct Professor of Maritime Studies, AMET University in Chennai, India.